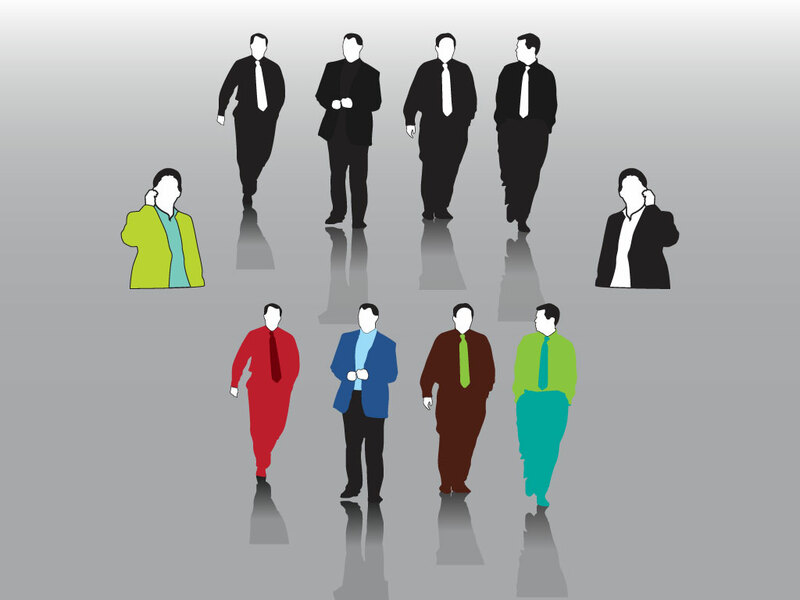 A set of five different businessmen vectors are featured in this vector bundle. Set up as color and black and white for your preferences. Download these cool vectors for your corporate, finance, economic and business world designs. Tags: Business, Conference, Corporation, Executive, Office, Professionals, Suit.